This Maui home offers the best value of any ultra-luxury property available in Hawaii! Imagine waking up in your luxury Mediterranean villa, with the soothing sound of the Pacific right outside your window. Step out through the beautifully manicured lawn to one of Maui's most beautiful beaches, where you can swim, sunbathe, snorkel, windsurf, surf, you name it! This 800 sq.ft. gem is the BEST VALUE anywhere in the world! Complete kitchen, jacuzzi bath tub/shower, living room, dining area, queen-size bed room. 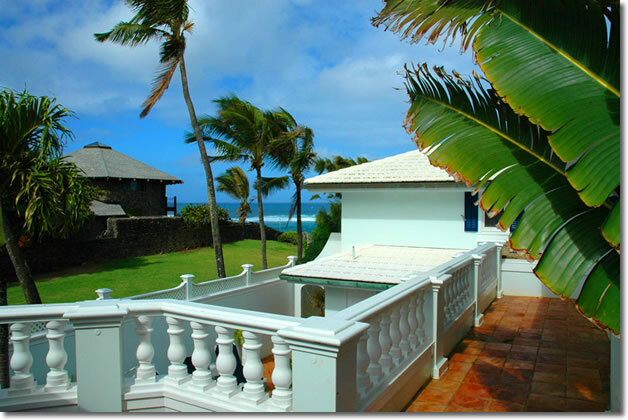 The cottage is connected to the Sea Breeze Villa, which is Maui's favorite and most beautiful villa and location on Maui. Laundry facilities in garage, below the cottage. Ocean views from balcony. Easy access to beach (20 steps away), very close to Mama's Fish House (70 steps away). Questions, comments, suggestions? Please let us know! Just call us at (847) 204-2642, email us, or fill in our contact form - we're here to serve! Maui Web Designs Copyright © 2007 Sea Breeze Maui. All rights reserved.